Connect all the N(<=10^5) cities to make a connected graph in minimum cost. Cost of adding each edge is product of population of the two cities between whom edge is being added. All populations are given in the input. Graph formed finally should be a tree. We connect all the other nodes to the node with smallest population which results in minimum cost. We need to add edges such that all the cities become connected. Connected is defined as “it should be possible from any city to reach any other city by a sequence of edges”. 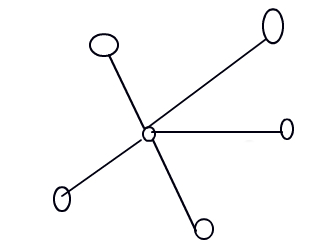 There doesn’t exist a graph which is connected and has less than (N-1) edges (which is known as a tree). So we will be constructing a tree finally with (N-1) edges. Suppose we create some random tree with (N-1) edges. Now I pick two nodes i and j where Pi and Pj both are not the minimum and remove that edge from there and connect nodes x and j, where Px is minimum. I have a change of ( Px * Pj ) - ( Pi * Pj ) which is less than zero since Px < Pi. So, we all nodes will be connected to the node with smallest value. @kuldeep992: You should have used long to avoid integer overflow. Isn’t it a minimum spanning tree problem? If so, can we solve it using kruskal or prim algo. can anyone explain me where is integer overflowing in my code ? Can kruskal’s and prim algorithm be used ? 'ad-hoc ’ category which means you do not require to apply any special algorithm to get it solved . please explain the case n=1…why isn’t the ans=0 for that? why can’t we use long n, long vector and long long sum?? sme here!! can u tell d reson 4r it’s faliure? long is 32 bit. You are getting integer overflow in your code. Y cant kruskal be used ? Complexity of Kruskal’s is O(ElogV), while of this algorithm is linear. I guess it might result in TLE. Morever this algorithm is very easy to implement unlike Kruskal.